Dr. Robert Mills accompanies the Arizona Cantilena Chorale. Dr. Robert Mills is a Clinical Associate Professor of Music and the vocal coach/accompanist for Arizona State University’s Lyric Opera. Dr. Mills holds a Bachelor of Arts in Music from the University of Maryland, as well as a Master of Music and a Doctor of Musical Arts in Collaborative Studies from Arizona State University. Additionally, Dr. Mills holds a Juris Doctor from Brigham Young University. For nearly three years, Dr. Mills served as an assistant vocal coach and accompanist for the Opera Institute at Boston University. In 2005, he joined the faculty at the American Institute of Musical Studies Summer Program in Graz, Austria. Dr. Mills has collaborated with vocal artists, technicians and composers, such a Ingo Titze, Phyllis Curtain, Ariel Bybee, Isola Jones, and David Conte in concert, workshop and master class settings Dr. Mills has performed with the Baltimore Symphony, Phoenix Symphony and Mesa Symphony. 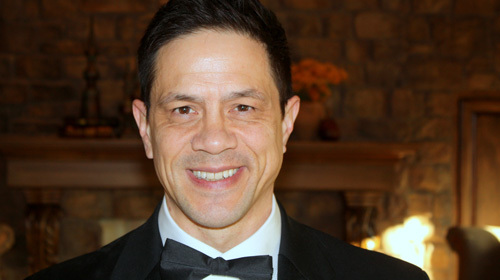 He is a frequent guest artist with the Grammy Award-winning Phoenix Chorale and the Three Tenors of Mexico and is in high demand as a coach accompanist in the Phoenix metropolitan area. Dr. Mills concertizes throughout the United States as a collaborative pianist and has special affinity for contemporary American art song. Dr. Mills has premiered several vocal works by the American composers David Conte, Judith Cloud and Virko Baley. Dr. Mills can be heard on both the Summit Record and Canyon Records labels.